One of the things that never ceases to amaze is the enthusiasm with which some Kitchener descendants take on a task and find a solution. I’m incredibly grateful where this is the case – and wanted to share a recent instance of this. A family had taken on the problem of ‘what’ was ‘where’ in Kitchener in 1939 – because of course nothing is left of the camp today. 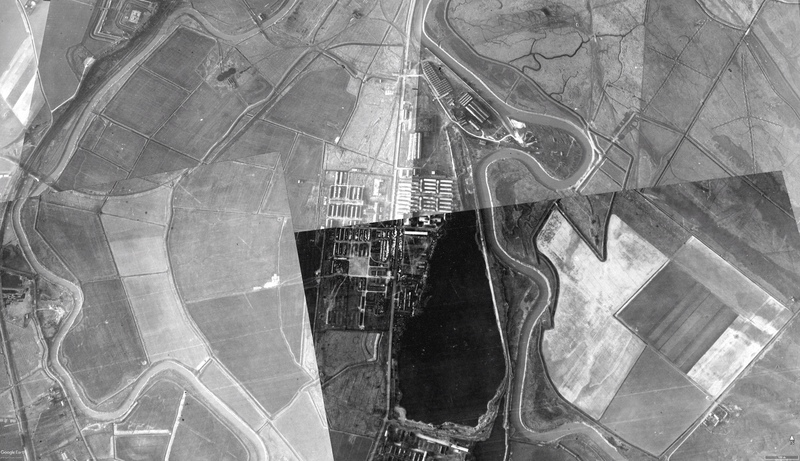 Pfizer bought the land in the post-war period and built over it. Descendants who have been fortunate to have seen Walter Marmorek’s long blue architectural map of Kitchener at the Wiener Library (some extracts of which are reproduced here: http://www.kitchenercamp.co.uk/research/kitchener-camp-2/) will have some idea of the scale of the place and how the huts were laid out, but as we know from our summer visit to Sandwich in 2018, it can be rather frustrating not to be able to get a better sense of the layout of the camp. So, one of the Kitchener families has found a neat trick on Google Earth Pro, which enables you to search for historical photographs of particular areas. And you can see the result in the images below. This is best viewed on a desktop rather than a phone screen – and if you click on the image it will enlarge considerably. Isn’t it amazing! 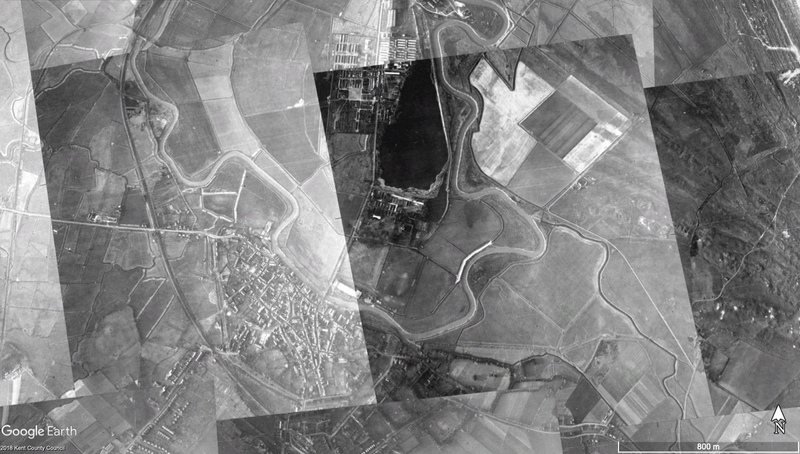 An aerial view – presumably a shot taken from an RAF plane during the war. It gives a clear perspective on where Kitchener was in relation to the town of Sandwich, but also in relation to the coastal cycle rides and visits to the beach that are mentioned in Kitchener histories, letters home, and photographs. Next Next post: Kitchener Haggadah?